Some might say that I am unqualified to discuss a twenty-two year-old Dream Theater album, especially since I’ve only been listening to the band for three years. Indeed, I’ve received similar comments on the negative review I wrote of the band’s most recent piece of… er… album. However, I believe my recent discovery of the band allows me to bring a fresh perspective to their catalogue. I was introduced to the band through their self-titled 2013 album, which I happen to enjoy. I think it is their best “Mangini-era” production. Furthermore, I see that album as being in a special category of Dream Theater’s heaviest albums, alongside Awake and Train of Thought. If it were its own album, I would add the Twelve-Step Suite to this list. Other than the Twelve-Step Suite, however, the other albums on my little list pale in comparison to Awake. This album set the standard for what a progressive metal album should be. Where Images and Words dragged, such as in “Surrounded” and “Wait for Sleep,” Awake excelled. Rather than slow the album down, the quieter songs from Awake flow remarkably well. “Space-Dye Vest” is probably one of the greatest songs this band ever recorded, even if the band members themselves don’t particularly like it. Despite not being a concept album, Awake has a remarkable coherency to it. For instance, “Erotomania,” an amazing instrumental piece, gives us a taste of the melody picked up later in “The Silent Man.” By creating this continuity, the band allowed “The Silent Man” to sound more like a quiet reprise rather than a standalone song. The problems with “Surrounded” and “Wait for Sleep” is that they were isolated and rather boring. By repeating a familiar theme, the band avoided that mistake on Awake. About two-thirds of the way through the album, Dream Theater kicked it into overdrive with “The Mirror” and “Lie,” which are basically one song. They flow together perfectly, although there is a clear distinction between the two pieces. “The Mirror” is a precursor to Portnoy’s Twelve-Step Suite, dealing with themes of alcohol and substance abuse. The end of “The Mirror” features some of the greatest bass playing in prog music. Myung at his finest. In fact, the bass is clear and distinct throughout the album. Sadly, his bass has become so muddied in the mixing of their more recent albums. Overall, Awake is probably as good as a Dream Theater album is ever going to sound – the drums, keyboards, bass, guitars, and vocals are all clear. The “loudness wars” certainly took a toll on later DT albums, but Awake predated that destruction. While I haven’t read the book yet, I decided to pull Rich Wilson’s DT biography, appropriately titled Lifting Shadows, off the shelf to dig into some of the band’s history during the recording of this album. I never realized there had been such anger and animosity during the recording of Images and Words. From the band’s perspective, producer David Prater was a demon to work with, and I think that definitely shows on the album. The drums sound like crap (no fault of Portnoy’s – Prater used drum triggering on the snares and kick-drum), and I’ve already mentioned some of the other issues I have regarding the flow of that album. It is interesting that the album opens and closes with lyrics from Moore. He reflects on the turmoil he is having playing in a band that has different musical goals than his own. While these issues ultimately resulted in Moore leaving the band, they also created some of the deepest and most thoughtful lyrics the band has written. 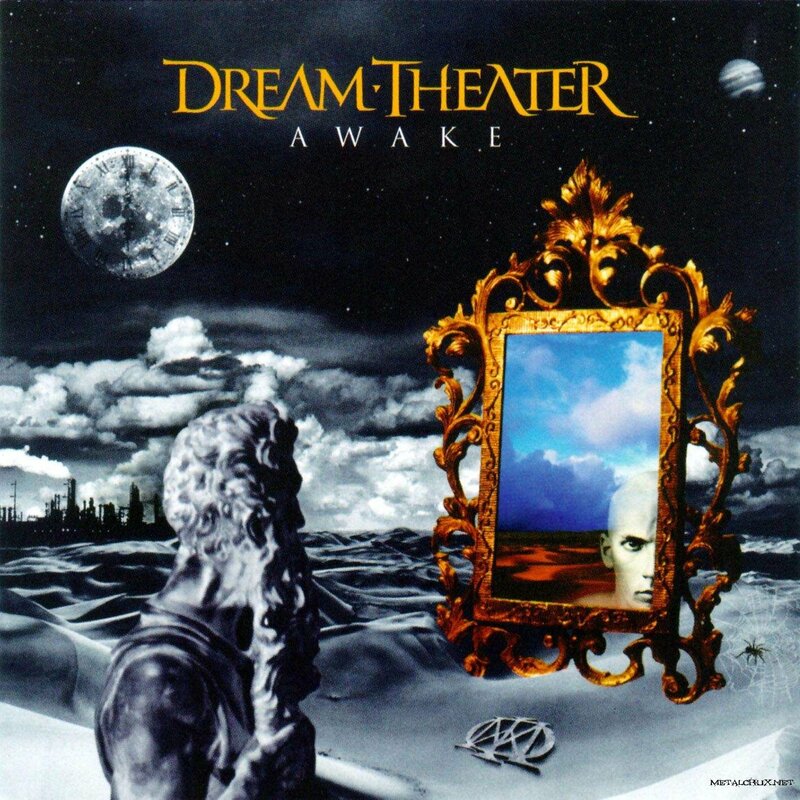 In the end, my opinion that Awake is Dream Theater’s best album is just that – my opinion. I mentioned that the production is the best of any of their albums. Furthermore, the performance of the band is particularly high. James Labrie has never sounded better than on Awake. He holds nothing back. His voice soars when it needs to, and it brings the emotion when required. One of the biggest issues I have with Scenes From a Memory is Labrie’s voice. He sings in a much lower register than the songs call for. Plus, instead of having a backing vocalist, he sang the parts remarkably high and has that playing softly behind the lead vocal track. I assume they did this so that he could choose how he wanted to sing the songs when they played live, depending on how his voice felt on a particular night. On their 2014 live album, Breaking the Fourth Wall (some great tracks from Awake on there as well, including the first ever performance of “Space-Dye Vest”), he sings the songs at the upper end of his register, and it is absolutely stunning. On the album, his voice doesn’t reach the same heights. However, on Awake, Labrie sang exactly how the music needed to be sung. 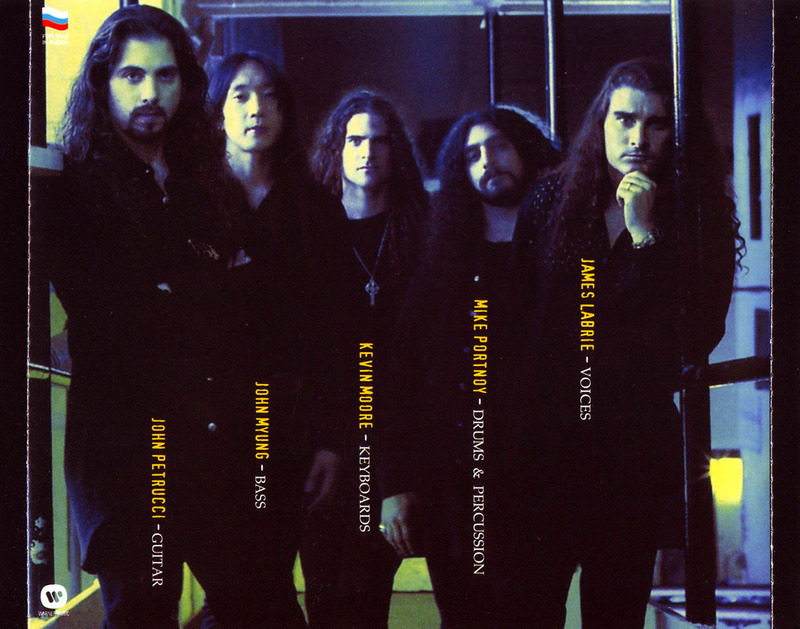 The combination of lyrical content, musical prowess, and vocal performance on Awake make this album the best in Dream Theater’s large catalogue of exceptional music. It is the standard against which all prog metal albums should be measured. * Rich Wilson, Lifting Shadows The Authorized Biography of Dream Theater (UK: Rocket 88, 2013), 129. This is the Dream Theater album I always go back to, and it also happens to be the album that made me pick up the phone and order my first drum kit. Moore was such an enigmatic and artistic figure. The nuances and atmosphere I attribute to him, and damn do I miss that in all subsequent DT albums. Great write up, Bryan. Makes me sentimental and grateful that I caught one of those Along For the Ride concerts. The Awake songs SLAYED. Thanks, latindrummer. I wish I could have seen them on the Along for the Ride tour. They played a show in Detroit during either hell week (when all the papers are due) or finals week that semester of college. I couldn’t justify spending that much time and money at such a busy time of the semester. You’re exactly right about the nuances and atmosphere missing from subsequent DT albums. Moore really was so important to their early work. Bryan Morey on my favorite Dream Theater album, AWAKE. Wow, one of your best, Bryan. Thank you. Really loved reading this. Thanks, Brad! I’m glad you enjoyed it. Erotomania, Voices and The Silent Man are together entitled A Mind Beside Itself, so they are meant to be linked! Erotomania has riffs from all the other songs on the album from memory. Definitely one of their best albums although I disagree with you about Images & Words dragging. I’ve always loved Wait for Sleep, a palate cleanser before Learning To Live. Thanks, Tom. I didn’t know that. Don’t get me wrong – I still think Images and Words is a great album. I just think Awake is better because it flows better. Scarred has to be Labrie’s vocal pinnacle. I love that track for several reasons, but damn, when Labrie transitions from his acidic vocals to that breathy, creamy tone…daaamn. That whole section that begins with “Do you feel you don’t know me anymore…” leading to the crescendo.